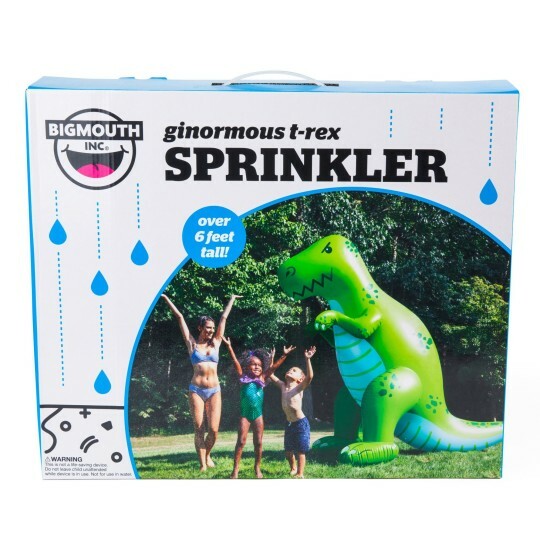 The T-Rex Yard Sprinkler is over 6’ tall and sprays water out of its snout. Connects to any standard garden hose. 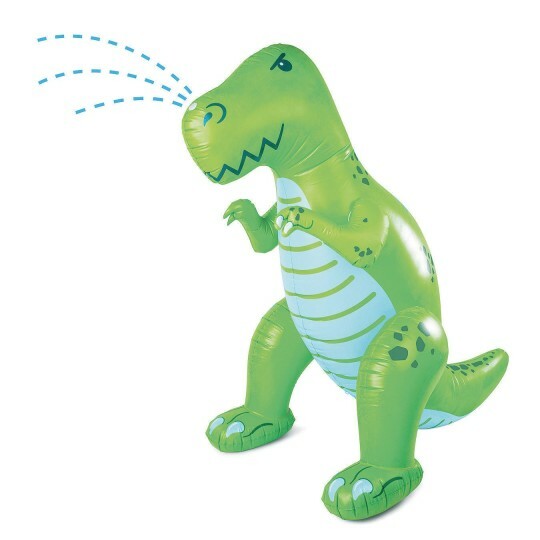 Just inflate it, and then turn the water on. Air valve features a wide-mouth cap for fast deflation. 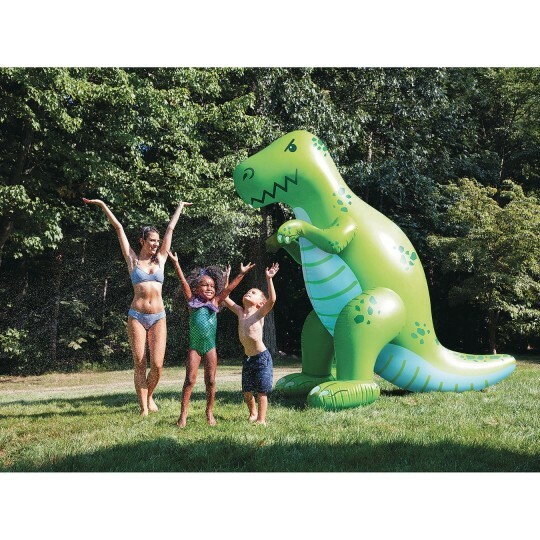 Great for parties, events, camps, heat waves, poolside entertainment, 4th of July, and more! 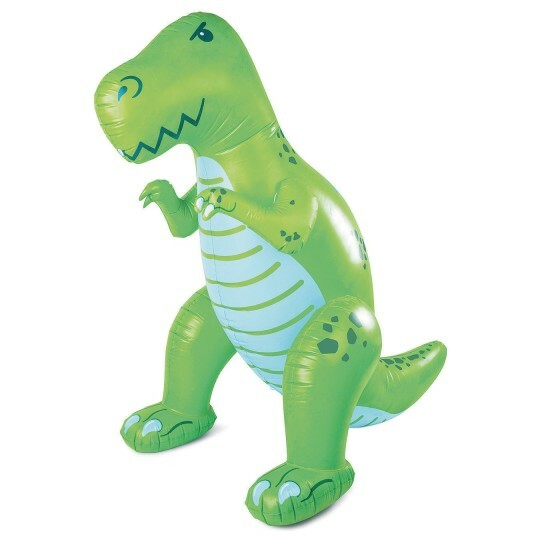 Easy to wipe down, inflate/deflate, and store. Comes with tethers and stakes to secure them to the ground.